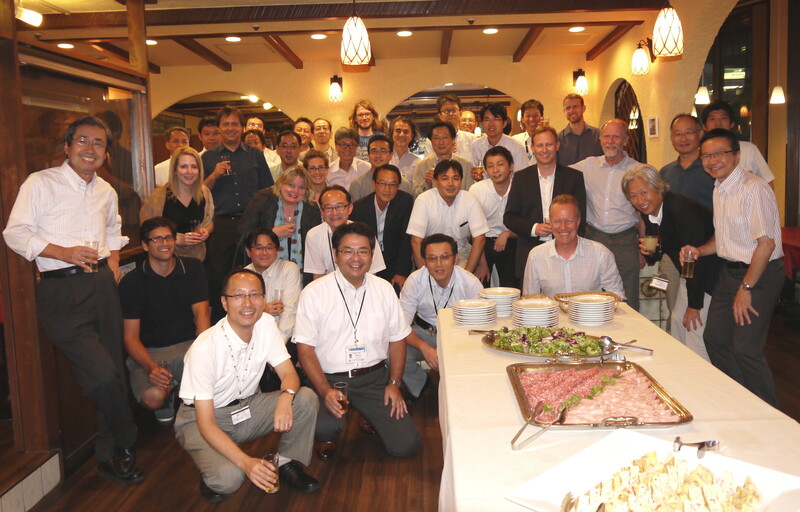 A group of international scientists, including EarthByter Dietmar Müller, is gathering this week at the Japan Agency for Marine-Earth Science and Technology (JAMSTEC) in Tokyo to put the finishing touches on an IODP proposal to drill through the Cretaceous stratigraphic section of the Lord Howe Rise (LHR), a submerged continental fragment that was once part of eastern Gondwanaland. The principal Australian agency in this collaborative project with JAMSTEC is Geoscience Australia, with Andrew Heap playing a leading role. The main emergent part of the LHR today is Lord Howe Island, an eroded remnant of a 7 million year old shield volcano, known to many Australians as a fine, but slightly pricey, getaway from the hustle and bustle of city life, full of kingfish, great beaches, a pristine coral reef and excellent outcrops of volcanic rocks and calcarenites. But what does not meet the eye is what lies underneath: several kilometers of Cenozoic and Cretaceous sediments that provide a rich record of subduction along eastern Gondwanaland, the transition from a relatively cool Early Cretaceous climate at high latitudes to a Late Cretaceous hothouse world, and a deep biosphere waiting to be explored. The project is set up as a Japanese-Australian collaboration which would take the drillship Chikyu, Japanese for “Earth Discovery”, into the southern hemisphere for the first time for a major international scientific experiment.